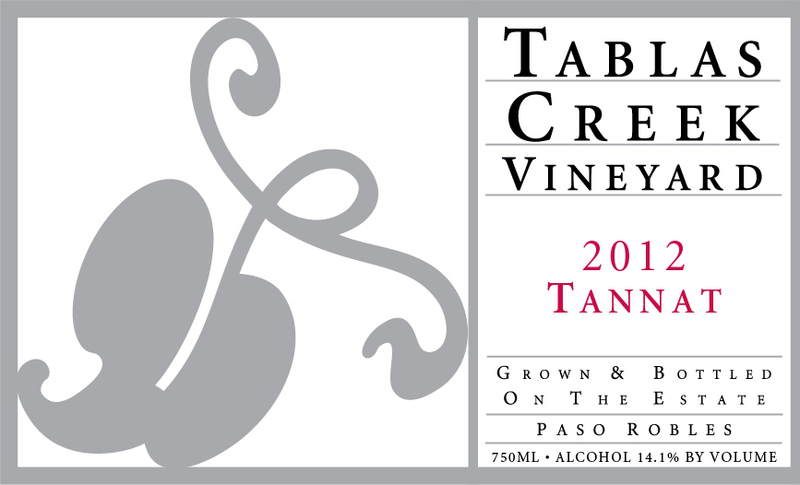 The Tablas Creek Vineyard 2012 Tannat is Tablas Creek’s tenth bottling of this traditional varietal from South-West France, known principally in the Pyrenees foothills appellation of Madiran, but originally native to the Basque region. The Tannat grape has intense fruit, spice, and tannins that produce wines capable of long aging, and it is traditionally blended with Cabernet Sauvignon or Cabernet Franc. The 2012 Tannat shows a dense purple-black color and has a nose of blue and black fruit, mineral, smoke, game herbs (sage and juniper), and spice. The rich palate has flavors of black cherry, smoked meat, and bittersweet chocolate with big but ripe tannins and a long, smoky, generous finish. We believe that it will drink well for a decade or more. Our Tannat grapes are grown on our 120-acre certified organic estate vineyard. The 2012 vintage was a classic Paso Robles vintage, warm and sunny, but with above-average yields thanks to average winter rainfall and the frost-reduced 2011 crop. Despite the warm summer, ripening was slowed due to the healthy crop levels, and harvest at a normal time starting in early September and finishing in late October. Tannat was harvested between October 4th and 30th. The Tannat grapes were destemmed and fermented using native yeasts. The wine was then blended with 9% Cabernet grown in our nursery block and moved to small barrels where it was aged for 18 months. The wine was bottled in June of 2014.